Center for Adaptive Optics: The Center for Adaptive Optics is a Science and Technology Center that was funded for 10 years by the National Science Foundation (NSF) and is now funded by the University of California. The Center is headquartered at UC Santa Cruz, with members from eight other UC campuses and with many academic and industrial affiliates. Its mission is to advance and disseminate the technology of adaptive optics (AO) in service to science, health care, industry, and education. Its goal is to lead the revolution in AO by developing and demonstrating the technology, creating major improvements in AO systems, and catalyzing advances nationwide. UC Observatories: The UC Observatories (UCO) is a multi-campus astronomical research unit, with headquarters on the UC Santa Cruz campus. 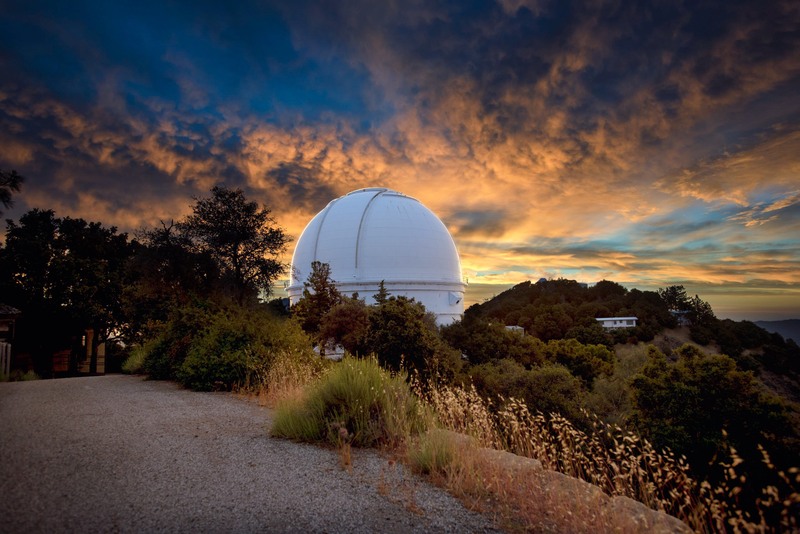 UCO operates the Lick Observatory on Mount Hamilton, and the technical labs at UC Santa Cruz and UCLA. UCO is also a managing partner of the W. M. Keck Observatory in Hawaii, and the center for the UC participation in the Thirty-Meter Telescope (TMT) project. Santa Cruz Institute for Particle Physics: The Santa Cruz Institute for Particle Physics (SCIPP) is an organized research unit within the University of California system. SCIPP's scientific and technical staff are and have been involved in several cutting edge research projects for more than 25 years. The primary focus is experimental and theoretical particle physics and particle astrophysics, including the development of technologies needed to advance that research. SCIPP is also pursuing the application of those technologies to other scientific fields such as neuroscience and biomedicine. The Institute is recognized as a leader in the development of custom readout electronics and silicon micro-strip sensors for state-of-the-art particle detection systems. SLAC National Accelerator Laboratory: SLAC research explores the structure and dynamics of matter and the properties of energy, space and time at the smallest and largest scales, in the fastest processes and at the highest energies. These studies address questions of major scientific and technological interest to society. Stanford Synchrotron Radiation Lightsource: SSRL produces extremely bright x-rays as a resource for researchers to study our world at the atomic and molecular level. Research at SSRL benefits many sectors of the American economy and leads to major advances in energy production, environmental remediation, nanotechnology, new materials and medicine. SSRL provides unique educational experiences and serves as a vital training ground for future generations of scientists and engineers.